Rome is one of the most iconic cities in the world. It’s full to bursting with ancient ruins, priceless artefacts, treasures from far off lands taken as spoils of war thousands of years ago, and the modern wonders of life have made it a thriving cosmopolitan city at the same time. With so much to see and do, it’s understandable that many first-time travellers here can feel a little overwhelmed. Below you’ll find a brief guide to where to stay, what not to miss out on, and the top things to do in the area. Prepare for one of the best city breaks of your life. Like most great cities, you’ll find a variety of different options to suit your budget. 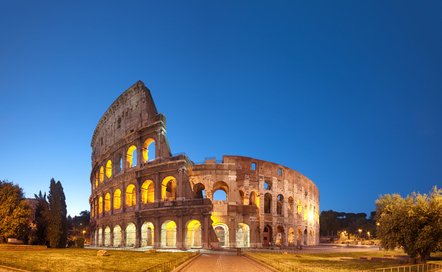 If you want luxury, there are plenty of 5-star abodes close to major attractions, like the Pantheon or the Colosseum. If you’re a true traveller who likes to live like a local, you won’t have to worry about finding an authentic apartment right in the heart of the city. You’ll find that most of the popular scenic spots in the area are walking distance from one another, but depending on the type of person you are, you should factor in your preferences when you pick your accommodation. If you love archaeology, look for hotels and flats close to the Roman Fort. If you’re more a fan of charming squares and medieval back streets, then look more towards the Centro Storico. For those who love to shop, there’s no better place for you than close to the Spanish Steps. Being such a hub of activity, you are never far from a market or festival in the heart of Rome. Make sure that you research any events during your stay so that you don’t miss out. For example, if you’re a lover of opera, you can read up on upcoming concerts and even book tickets in advance through www.romeoperatickets.com. If festivals are more to your tastes, don’t miss the Roma Incontra il Mondo. Running from mid-June through to early August, musicians from around the world play on a lakeside stage in Villa Ada park. There are authentic Italian food stalls and the atmospheric lighting creates a truly special summer festival experience. It’s hard to know where to start in Rome because there is so much to do. You should definitely head for St Peter’s Basilica, the Sistine Chapel and the Galleria Borghese if you want to see some of the most stunning examples of Renaissance art that the world has to offer. For more of Rome’s history, go up to Palatine Hill. The crumbling palace and museum should get your cultural juices flowing. Finally, fashionistas should flock to the Spanish Steps if they want to worship their own temples of Prada, Gucci and Armani down the streets of Via Condotti. Are you planning a trip to Rome soon? Let us know where you’re planning on heading by leaving a comment.